Cebu Pacific PISO FARE ongoing! Book now! 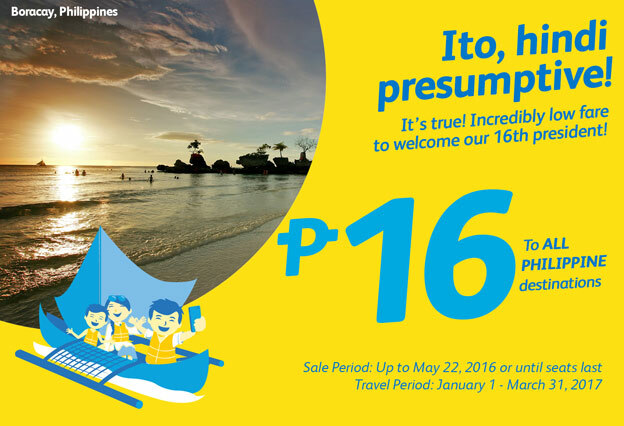 Time to explore Philippines with this Cebu Pacific PISO FARE! Book now and fly for as low as Php 200 ALL IN! What a deal!